‘That Killer First Page’ Submitting to Journals and Competitions. ‘That Killer First Page’ Submitting to Journals and Competitions in conjunction with Waterstones Piccadilly, London, November 7th 11am-5pm. Get your tickets here. This class has sold out in Bath, Belfast, Brighton, Cork, London and Melbourne. Paul McVeigh’s debut novel ‘The Good Son’ is currently shortlisted for The Guardian’s ‘Not the Booker Prize’. His short fiction has been published in journals and anthologies and been commissioned by BBC Radio 4. He has read his work for BBC Radio 5, the International Conference on the Short Story in Vienna, Belfast Book Festival, Wroclaw Short Story Festival and Cork International Short Story Festival the last 2 years. Paul’s short story blog shares writing opportunities and advice and gets 40,000 hits a month internationally. He’s interviewed short story masters like Kevin Barry, Cate Kennedy and George Saunders. Paul is co-founder of London Short Story Festival and Associate Director at Word Factory, the UK’s leading short story literary salon. He is also been a reader and judge for national and international short story competitions. 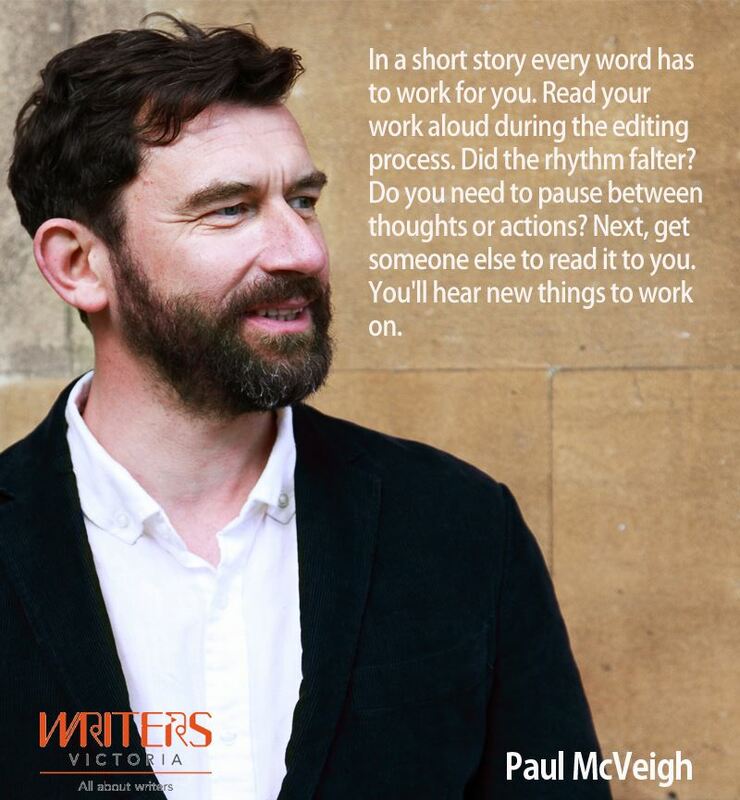 Completely Novel says that Paul is one of the 8 resources that will help you write a prize-winning short story. “A work of genius” Pulizter Prize-winning short story writer Robert Olen Butler.